When traveling, makeup can be tossed to the side as it can be too time consuming or high maintenance. 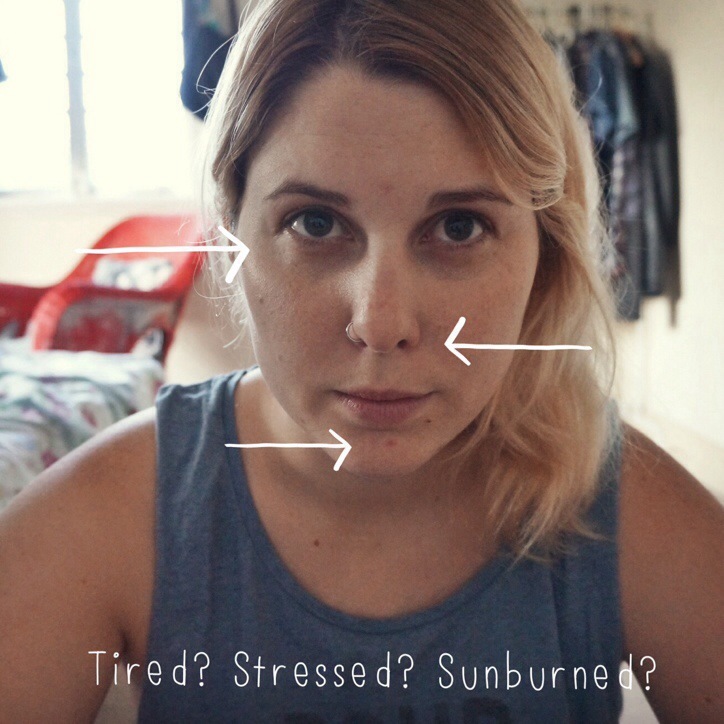 However sometimes a little bit of makeup can make a huge difference to how you feel. Traveling is also a time when you are in a lot of photos and who doesn’t like looking good in photos! All you need for a quick makeup look is three products and three minutes. 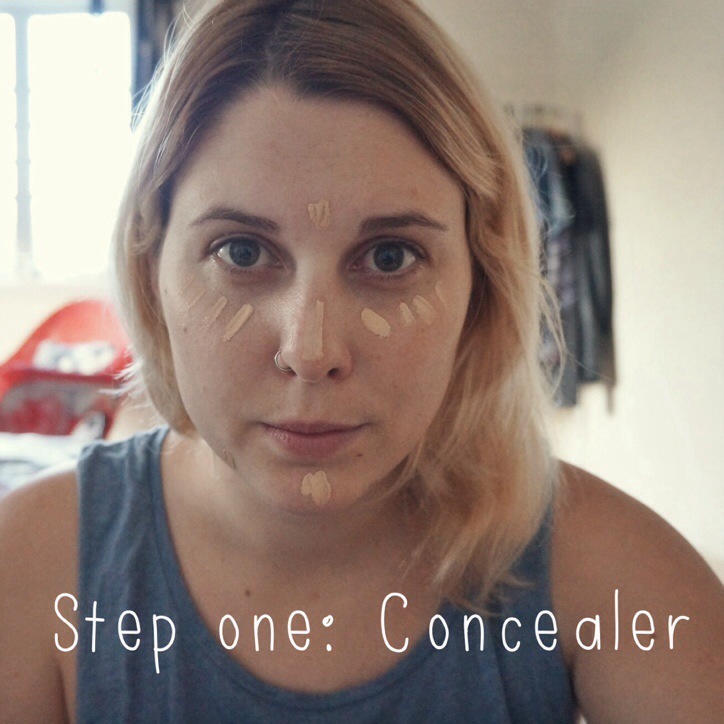 Step one: Apply a little concealer under your eyes, nose and on any blemishes you might have. Blend with your finger or a brush. My favorite concealers are Revlon’s Color-stay concealer and Collection 2000 lasting perfection concealer. 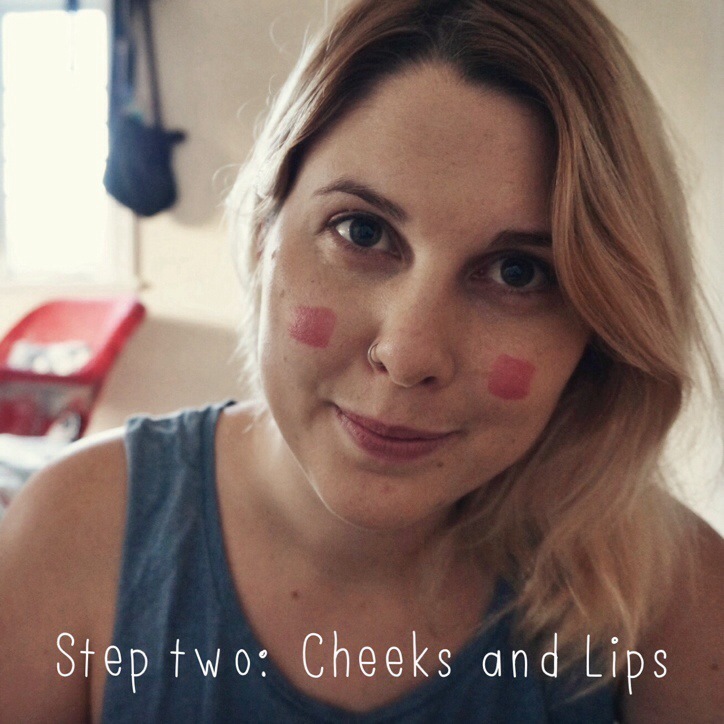 Step two: One lipstick, two uses. Dab a little bit of lipstick onto the apples of your cheek and blend with a brush thoroughly. Plummy or berry toned lipsticks work best as they create a natural glow on the cheeks. Use the same lipstick on your lips for a cohesive look. For nighttime build up the lipstick to create a bold lip. I am using Rimmel Kate Moss’s lipstick in the shade 103. It’s a beautiful “Your lips but better color”. You can also use a cherry red lipstick to create a natural flush and red lipstick always makes even a simple outfit look fancy. 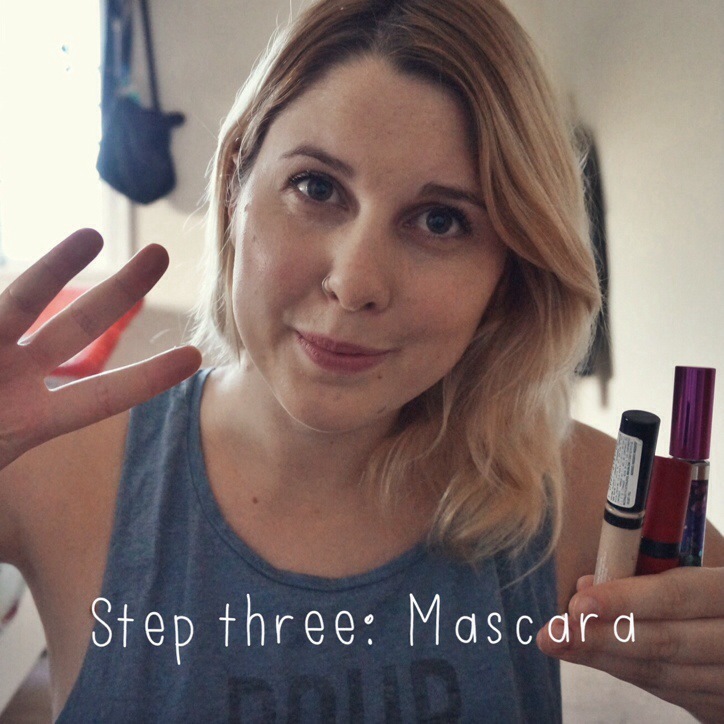 Step three: Put on a bit of mascara to create fluttery lashes that make you look more awake. Choose a waterproof mascara if you’re near the beach. I am using Revlon’s grow luscious. It comes in a pretty bottle and is easy and quick to apply. The only thing I don’t like about it is that it does become a little flaky throughout the day so if you have any recommendations please leave a comment in the box below! What’s your quick makeup routine for in the road? Do you wear makeup or do you forgo it completely? Please leave a comment below or email us at dirtypawsblog@gmail.com. Previous Post The Wanderlust Tag!